Best Practices Webinar: Proposal accepted?...Now what should I do? The UM System Affordable & Open Educational Resources (A&OER) initiative works to enhance the use of affordable and open educational resources at the university. A&OER provide students immediate and unlimited access to course materials, enhance learning by providing up-to-date and interactive resources, and lead to greater retention and graduation. Additionally, they help to lower the cost of education. A&OER also benefit faculty as they can easily tailor course materials to keep content relevant and up-to-date. To support faculty in transitioning to more affordable and open educational resources, the A&OER Taskforce, formed in 2017, has created a faculty-first grant funding programs for all UM System faculty who which to adopt or develop new A&OER course materials. Information on A&OER, the taskforce, and the grant program is below. What are A&OER and why are they important? Through adopting free or low-cost textbooks and digital course materials, OER helps us control the cost of educational resources. The importance of this type of cost reduction for our students was highlighted in an American Enterprise Institute report (September 1, 2016). The report compared the Consumer Price Index (CPI) from January 1998 to July 2016 for college textbooks to the CPI for All Items and Recreational Books. 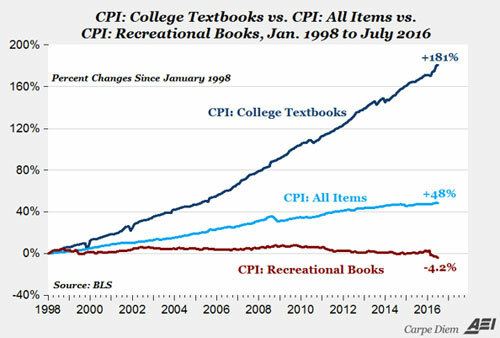 They found that “college textbook prices have increased by 90% while recreational book prices have fallen by more than 35%.,” as illustrated by the graph below. In fact, a survey conducted at University of Missouri - Columbia in fall 2016 showed that 61% of students reported not purchasing a required textbook for a class and 75% of students reported delaying purchase of required course materials. The A&OER Grant Program provides numerous avenues for faculty exploration, experimentation, and innovation to deliver faculty curated, faculty controlled, and less costly learning materials to their students. As an entry into A&OER program, faculty may apply to complete an Open Library Textbook Review as an Associated Activity to the A&OER program. Reviewing an existing OER in the Open Textbook Library. Faculty reviews of textbooks in the Open Textbook Network represent an important contribution to furthering Affordable and Open Education both in the UM System and within the larger Open Education Community. For faculty who are ready to engage in converting their course materials, the heart of the grant program encourages faculty and instructors to commit to the use of A&OER materials through the adoption, adaptation, or creation of A&OER materials. Adopting existing OER or affordable resources. Using available resources lower barriers for faculty course redesign. In many situations, existing OERs can be used to meet course student learning objectives. Adapting existing OER or affordable resources. Revising and/or re-mixing requires more faculty effort and time in the course re-design, but allows greater tailoring of course materials to meet unique course student learning objectives. Creating and licensing a new OER. Creating a new OER resource is an option where there are currently no sufficient OER available to meet learning objectives or subject matter. This typically requires previous experience with OER and/or textbook development. Finally, for faculty who are experienced A&OER users and would like to share their knowledge, the A&OER Mentor program is another Associated Activity and allows for the funding of knowledge transfer through mentoring. Mentoring faculty interested in OER. Advising or training a colleague on how to convert their required classroom materials to A&OER materials. To be eligible for an award the recipient must be a Tenure/Tenure-Track faculty or a ranked NTT and the applications must meet the ‘Minimum Requirements’ listed below for each activity type. Instructional Designers, Librarians, and Adjunct Instructors interested in applying may be reviewed on a case-by-case basis. They are recommended to first contact umoer@umsystem.edu for a consultation. In each category, to receive the maximum award amount (listed in the tables below), the application must meet all minimum requirements as well as any additional criteria outlined for that category as determined by a review committee. Levels are determined by the estimated cost savings per student impacted by the proposal as estimated by the bookstore. Adoption: Faculty who chose to adopt the book they reviewed may be eligible for an adopt award provided the course they are adopting the book for meets minimum requirements. Participants: 1 faculty member agrees to mentoring. Other Criteria: Mentee's course must meet minimum Adopt requirements. Action: Contact A&OER program at umoer@umsystem.edu to request a consultation prior to applying. In addition to providing grants based on whether the faculty, adopted, adapted or created resources, additional funds will be provided through to Office of Diversity, Equity & Inclusion to those who incorporate inclusive teaching practices into their courses. To be eligible for a Diversity and Inclusion grant, you must first be awarded an Adopt, Adapt (& Share), or Create (& Share) grant. Faculty Engagement: Receive an award for ‘Adopt’. Overall Intentionality: Low level of complexity & effort. Curriculum Changes: Incorporate minor changes to curriculum. Cultural Competency: Minor growth in student’s cultural competency. A. Whether to award a grant. B. The level of funding for a given grant award. These criteria are not prescriptive. Student Enrollment: Priority will be given to grants for high-impact courses with a large number of students. See Student-Enrollment-Specific Criteria below for definitions. For Mentor awards this refers to the student enrollment of the course a faculty member is receiving mentorship for. Cost Savings: In addition, courses with exceptionally high costs for current textbook adoptions will be prioritized, especially if an OER or affordable alternative exists that is not currently being utilized. For Mentor awards this refers to the student enrollment of the course a faculty member is receiving mentorship for. See Cost-Savings-Specific Criteria below for definitions. or submitting a suite of courses in one proposal to be converted to affordable or open resources. See Faculty Engagement-Specific Criteria below for definitions. Sustainability: preference is giving to proposals that provide a plan for sustaining the A&OER components for four (4) or more semesters AND that provides the unit chair’s support of the sustainability commitment. Accessibility and Usability: Faculty commitment to developing a resource that meets accessible guidelines and standards for the syllabus, learning management site, Canvas, text documents and PDFs, presentation slides, images, video/audio, and internet resources. Additionally, the required course materials must be listed with the bookstore even if the materials are completely open. Overall Proposal: Quality and strength of application in meeting the criteria of the application and the requirements of the program is the spirit intended by the A&OER initiative. Student enrollment is calculated per term and includes each section in your application that you plan to implement any A&OER materials. If your proposal does not meet the minimum enrollment requirements outlined for each campus then it is recommended to consider collaborating with other faculty willing to convert course materials for the class. Contact the bookstore to determine the weighted cost of all required course materials for each course section listed in the application in the most recent semester the course was delivered by you. For courses previously delivered by another faculty member, use their most recent numbers to calculate your student cost savings. For new courses never before delivered, select the required course materials you would use if you decide not to use A&OER materials in your classroom and then ask the bookstore to assist you in determining the most likely weighted cost based on minimum grant requirements for enrollment. Note: The term ‘weighted’ cost refers to the cost associated with the condition of materials used (e.g. new, used, rental, eBook, etc.) which is multiplied by the number of students that purchased that type. The results are then added before being averaged. The combined total cost for all required course materials must be of no cost to the students. Note: Items where the costs are deferred to the university such as journals subscriptions do not qualify as ‘no-cost’ materials. No cost includes items in the public domain and items with intellectual property rights that allow anyone to modify, distribute, display, perform, and copy the work. Each semester the combined total cost of all required course materials must be no greater than $40. Note: Items where the costs are deferred to the university such as journals subscriptions or to the students such as clickers and homework graders, might qualify as low-cost items. Check with your local bookstore to determine if the total cost of all required course materials is less than $40. Though the future student cost savings as measured from the previous weighted cost of the required course text and materials are greater than $40 the proposal can be considered as a Major Cost Reduction if the total cost savings for all required materials is reduced by at least 50%. Note: Items where the costs are deferred to the university such as journals subscriptions or to the students such as clickers and homework graders, might qualify as low-cost items. Check with your local bookstore to determine the total cost of all required course materials. Proposal does not fit in the levels above but would impact the affordability of educational resources for students. Examples may include departmental proposals, proposals that would cost more than $10,000 to implement but have a significant impact on students, etc. Before submitting an alternative proposal, it is recommended to email umoer@umsystem.edu for a consultation. Replacing required material by adopting AutoAccess for the same required course materials is easiest conversion, and can provide quick impact. Replacing required courses materials may require more faculty interaction with OER materials but can often provide a quick impact. Faculty engagement expected to be lower than OER adapt or create. Creating OER is the most complex and potentially time-consuming OER activity but also the most generously compensated. Therefore, awards at this level should require a justification showing awareness of current OER and a documented assessment of their lack of adequacy for meeting course student learning outcomes. To be counted as a Create application, the materials must be your own, original work and be made available via Creative Commons licensing so that they may be freely shared via a University Institutional Repository (For assistance with CC licensing or sharing please contact your local librarian). Grants of $250 awarded for 500-1,000 word reviews of OER textbooks included in the Open Textbook Library. 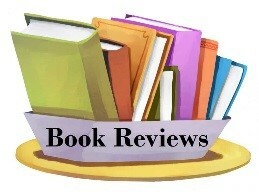 Reviews must cover all criteria found in the Open Textbook Library Review Criteria in order to receive this award, which is payable upon successful completion of the review. Reviews will be made publicly available through the Open Textbook Library website, and reviews may also be posted at other applicable websites. After successful completion of the Textbook Review Incentive program, faculty are notified about their eligibility to apply for an Adopt grant if they choose to adopt the OER textbook they reviewed. This notification occurs at the time of the $250 award for completion of the Textbook Review Incentive. Grants awarded to UM System faculty who have already adopted affordable or open resources in their classes. Grant awards will be made to faculty for mentoring additional faculty in A&OER course redesign. Criteria for reviewing an A&OER Mentor application will include the potential cost savings and student enrollment of the course(s) instructed by the mentee. 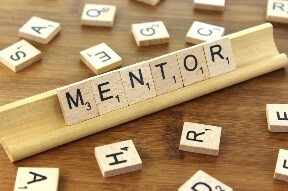 A&OER mentors will be expected to provide brief minutes from at least three meetings with the mentee; initial meeting (setting up project), intermediate meeting (timeline for implementation), accomplishment meeting (final comprehensive report). Mentors may receive up to $900 per academic year ($300 per faculty member that is advised.) to be paid after a final report is received about each faculty mentoring. Faculty awarded a grant must successfully implement A&OER into courses offered to students by agreed upon time of the grant award. Half of the award will be available at the start of the grant, and the other half will be payable upon completion of deliverables and requirements of this grant. Faculty will be required to meet with an Instructional Developer and/or a Librarian to ensure that the A&OER used in the course integrates successfully into the Learning Management System (LMS). All adopted materials are to be course-ready, meet copyright requirements, are properly cited and meet accessible guidelines and standards. If any journal article from a UM library will be used in your course you must link them through the library instead of downloading the PDF to your LMS (i.e. Canvas, Blackboard) to track user-ship for subscription renewal purposes. For more information, consult your librarian or instructional designer. All adapted (& shared) or created (& shared) materials are to be licensed under a Creative Commons and are made available through the University Institutional Repository and other appropriate Open Education materials repositories. All adapted and created materials must also meet accessible guidelines and standards. Faculty will work with the campus bookstore to make alternative print-on-demand options available for OER and to ensure multiple options are available for publisher’s materials. For assistance, contact your local campus bookstore. Faculty will participate in a meeting at the end of the academic year to compare experiences, share findings, and make recommendations concerning the program. Faculty will be contacted by a representative to participate in a meeting. Faculty will write a final report upon course completion that includes a narrative summarizing the challenges and accomplishments of your experience adopting/adapting/creating resources, the impact upon teaching, the impact upon students and their performance, and lessons learned based on your student evaluation results as indicated by the options selected in the application process. Please send report to umoer@umsystem.edu. The award amount will be deposited into your paycheck as taxable income or into a professional development account if you have reached your extra compensation cap. Click here to access the grant application. You will receive an email confirmation of your application within one week. Applications are accepted on a rolling basis. If you would like to prepare your application prior to applying, use the Application worksheet (PDF) (Word). Professor Bruening uses A&OER most often in his Western Civilization class by putting his own course packet together of exclusively public domain documents, which costs students less than $15. He has also used popular history books in his Renaissance class. In addition to the course packet, he uses YouTube and library videos for homework assignments. In the future, he noted that while he would consider using a free, online, peer-reviewed textbook as supplementary material, it “would never be the focus because I’ve found that the students don’t like online books, and I don’t like them generally because students can’t bring them to class with them. I don’t allow computers in my class.” For other faculty considering using A&OER, Professor Bruening recommends that they look broadly beyond what they’re typically used to doing. He also recommends being careful with publishers when they offer packets that include textbooks and other supplementary materials—it might seem convenient, but it means that students have to buy the entire package, which is often more expensive. Professor Keel has used open and free resources in all of the courses he teaches, including Introduction to Sociology and Alcohol, Drugs, and Society. He creates HTML web-based documents that are composed of his lecture notes; he also links to other resources on the web to aid students. His use of open resources began 20 years ago. He commented that “in the old days, I would come into the classroom and fill the chalk boards up with notes and questions for my students.” He found he could save time by having it all done in advance, plus it gave students the opportunity to have his notes available both in and outside of class. When discussing his experience using OER, Professor Keel says “It’s been a positive one. For the most part, students appreciate having access to those resources on a 24/7 basis.” The only issue he has found with this approach is that the notes “take on a life of their own,” making it difficult to update, refresh, and keep them current. Professor Reardon uses A&OER in his two literature courses, Science Fiction and Fantasy Literature. A few years ago, he found that no good anthology of science fiction short stories existed, so he decided to create his own. His approach evolved from there. Now, he has a course packet he developed for his Fantasy Literature course, and puts both packets on AutoAccess, which virtually all students use. “I’ve been alarmed at the increasingly rising cost of textbooks for students, which to me has reached an unconscionable state” Professor Reardon explained when discussing why he uses more affordable course materials. “It’s customary for students to pay anywhere from six to seven hundred dollars a semester for textbooks,” he said, noting that the cost has a whole new meaning now that he has a son who is a freshman at Missouri S&T. In addition to affordability, he found that once he stopped being “an electronics cop” in his classroom, it “opened up a world of resources for my students.” Being allowed and encouraged to look up answers to questions engages students as active learners and encourages electronic savviness. Professor Sheppard uses A&OER in all of her classes, currently Western Civilization and History of Science. She uses a mix of open and affordable online resources that vary depending on the course, including online textbooks, articles, and videos. “I don’t see the point in having students spend money when there are free resources out there,” Professor Sheppard says when discussing why she uses A&OER. Because she assigns readings from a lot of different books, she didn’t see the need for students to buy all of the books separately, saying that “it also makes it more enjoyable for your students.” She notes that there are a lot of free and open resources on the web; people just have to look. “Don’t be afraid of it!” she states. Professor Votaw has heard a lot of informal positive feedback from her students. She has found that students prefer to print materials off before class instead of carrying a textbook around campus. She also sees students coming in with notes that are highlighted and color coded, indicating that they are actually reading the materials. Professor Woelk is using A&OER for two related courses: General Chemistry I and the associated lab class. Specifically, he uses an affordable AutoAccess textbook option for the General Chemistry course, and open resources for the lab. In this case, transitioning to A&OER initiated an entire course redesign for the chemistry lab. The faculty reached this point when they realized they should just write their own textbook as they were changing so much of the content already. Now the materials are provided as a Google Docs, and it can be modified as needed. Professor Klaus explains, “you can change the lab instructions half an hour before lab starts and the students have access to a whole new lab experience.” He has found that the students are more independent and explore more than they did with the textbook lab instructions. Providing more affordable and open educational resources to enhance student learning and increase cost savings for students. Engaging faculty in converting existing and developing new courses into O/AER courses. Increasing sustainable support, resources, and tools for faculty using affordable/open resources. Metrics will include but not be limited to cost savings as well as student outcomes. The UM Taskforce will be responsible for developing and tracking metrics. The UM Taskforce will define what a ‘successful’ A&OER program looks like based on the metrics tracked. Awareness building will be led by the UM Taskforce but will coordinator closely with Campus Committees. A unifying communication strategy will be decided upon by the UM Taskforce with communication channels to be determined with the campuses. A Communication Tool Kit will be available on SharePoint for all campus committees to access and share with faculty during campus trainings and other outreach efforts. The UM Taskforce will implement eight (8) outreach strategies to track interest in and adoption of the A&OER course materials. The UM Taskforce will coordinate with the campus committees to track and evaluate the success of each strategy. Campuses committees will identify the A&OER processes, tools, and resources currently available to faculty on each campus. With input from the campus committees, the UM Taskforce will make a unifying recommendation for the creation and support of tools, resources and business processes needed to build and sustain the initiative. The campus committees will be responsible for ensuring the recommendation is deployed and provide feedback to the UM Taskforce. The UM Taskforce will create a grant funding program for faculty and departments who wish to review and/or adopted A&OER course materials. The grant program will be developed with feedback from IFC and other faculty. UM Academic Affairs will be responsible for funding the program. The UM Taskforce will make a recommendation to the Office of the President regarding recognition of A&OER adopters. Each campus committee will be responsible for determining whether to recommend additional campus recognition for A&OER adopters. In the spirit of Open Educational Resources, the UM Taskforce will coordinate with the campus committees to ensure that UM-Created A&OER resources are made available to the public. In addition to the systemwide task force, each campus has its own committee focused on supporting the use of A&OER in the classroom. Each campus committee chair is listed below. For questions about the A&OER initiative, contact umoer@umsystem.edu.